Linden Leaves Memories moisturising lotion 200ml! An easily absorbed lotion formulated with sweet almond oil for pure skin hydration, in a luxurious blend of rose, geranium and ylang ylang to enhance emotional wellbeing. Enriched with natural kiwifruit, harakeke and rosemary extracts. Linden Leaves select only the best quality ingredients and avoid chemical nasties. Linden Leaves products contain top quality organic and natural ingredients, fruit and flower oils and unique scent and essential oil blends. Linden Leaves Natural Skincare is accredited by NATRUE, a world leader in Natural Product Certification. NATRUE certified products are thoroughly tested and certified to be free from pesticide residues, endochrine disruption chemicals, hydrolates, fragrance allergens. Linden Leaves is one of a growing number of Natrue certified brands who are stringently against animal testing, sharing a fundamental belief of harmony between people and nature, joining forces with like-minded organisations to protect nature and our planet’s biodiversity. Apply as often as required to keep skin soft and nourished. Ideal for daily use. 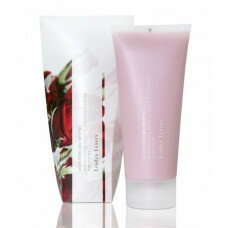 Enriched with natural kiwifruit, harakeke and rosemary extracts, rose, geranium and ylang ylang. Free from parabens, mineral oil and sodium lauryl sulphate. Linden Leaves Absolute Dreams moisturising lotion 200ml! Linden Leave..